I'd like to add to the front "Come see us for lunch!" Thanks for your entry! I like the stripes on the top but below the line it makes it hard to reacd the menu and social media links. 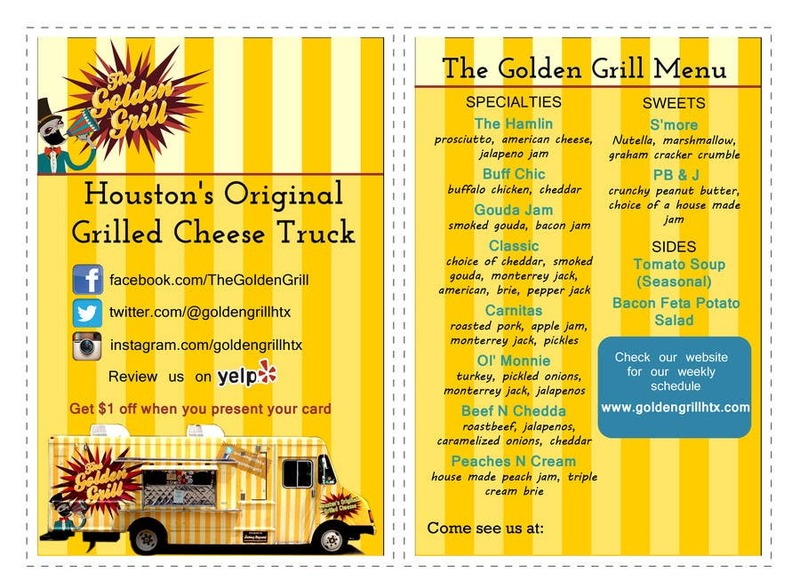 My suggestions would be to move "Houston's Original Cheese Truck" next to the logo, and make the social media links smaller.